What is a Business Architect? What is business process management? What is process management? What about managing business process flows? From simple and basic to providing guidance on more complex BA issues, there’s no one better to offer Business Architecture Consulting than BACOE. Our service advances your Business Architecture efforts at the level your project team needs, whether it’s basic mentoring or continuous support. One of our most popular programs is the “Quick Start” to point your BA in the right direction and get it going. The Quick Start sessions take a look at essential issues from a business perspective to offer a management-level understanding. Feel free to contact BACOE for details on Quick Start and our other consulting services. 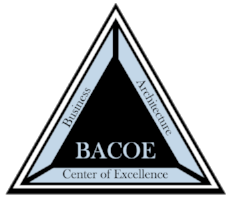 Whatever Business Architect training and consultation services your organization requires, BACOE delivers. We offer a variety of Business Architecture consulting services, no matter what type of organization you have, or at what step of BA implementation you’re at. From general advice to mentoring, or even more steady, consistent and specific step-by-step assistance, our services can be customized to meet your needs. Being designed to address all the vital issues necessary to kick-start your BA and keep it moving in the right direction, it’s easy to understand why our Quick Start program is among the most frequently requested. We also provide management-level briefings that offer clarification on central BA issues, as well as information from a business and/or technology viewpoint. These briefings can also be customized to meet your individual management needs. Business Architecture and strategic planning is the master outline for mapping out the process of bringing business planning an operations into alignment. With that in mind, Business Architecture must make a connection between business strategy and everyday business processes through the use of business modeling to illustrate the current state while also showing how the organization can progress to a desired future state. With BACOE’s Business Architecture Consulting Services, you’ll have the benefit of our experienced pool of knowledge and resources, valuable elements that will maximize the results of your business strategies.